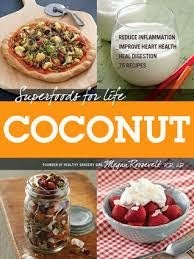 I’m no health nut but my recent work on a vegan book, due next year, led me to take an interest in vegan, gluten-free, dairy-free and raw cookery plus the use of coconut, so useful in the vegan repertoire. I think, even if we do not adopt alternative diets on a full-time basis, we can learn lessons and tricks from all of them. Content: how to grind your own flour. This might seem to be an unneccessary pfaff partly because we have lost the notion of ‘fresh’ grains, habituated, as we are, to the supermarket providing bags of milled flour. In the old days, you’d grow the wheat, take it to the local mill, and ta da!, ‘fresh’ flour without preservatives. 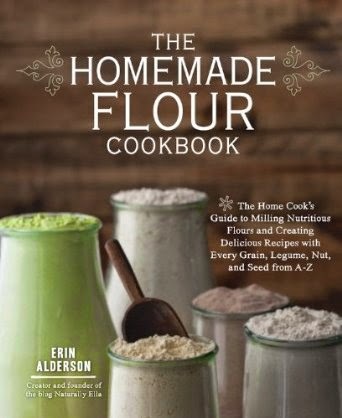 This is also a handy book if you are interested in ancient grains such as Kamut, Emmer or Einkorn; if you want to make flour from grains other than wheat such as Amaranth, Teff, Sorghum, Flaxseeds, information that is useful for bakers and gluten-free cooks. You need either a flour mill or a powerful blender such as a Vitamix (a machine which is a must for vegans). Design and photography: softback but exudes class and style. Photographs are taken by Erin herself. Content: Knowledgeable and well written by ex-pat Londoner Lisa Fabry, now residing in Australia. Good technical information on thickeners, binders, sweeteners and whether a recipe is low G.I. Design and photography: Softback and sadly a bit cheap looking. This book deserved more money spent on reproduction. Photographs and styling ok, but let down by poor reproduction. Recipes: excellent. Real knowledge of vegan food and ingredients. Creative workarounds in this most difficult of vegan subjects, how to make good desserts without resorting to eggs and dairy. 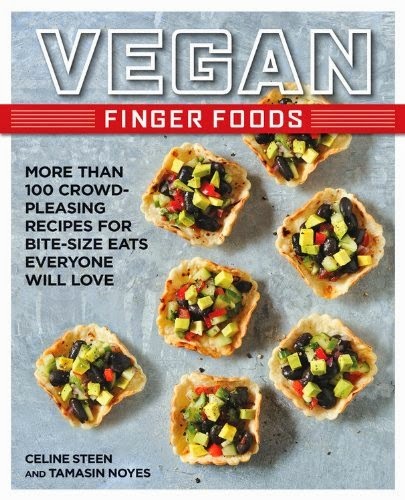 Vegan Finger Foods (Fair winds Press) by Celine Steen and Tamasin Noyes £14.99p list price, £12. 84p current Amazon price. 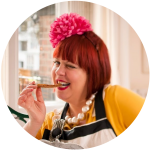 Content: both authors have worked extensively in vegan cookery, blogging, writing and testing vegan recipes. 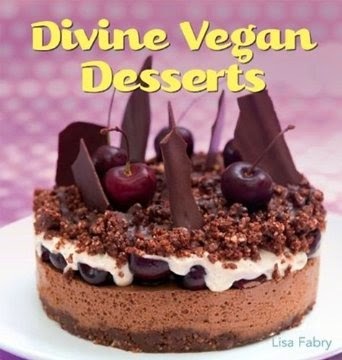 If you are a vegan who entertains or an entertainer (host) who has vegan guests, this is a great book for vegan canapés. The amount of events I go to where there is nothing for a non-meat eater to eat, this would be an essential book for caterers. Design and photography: softback cover; clear, bright photography, for virtually every recipe. Content: the author, the rather grand sounding Delphine de Montalier (anyone French with a ‘de’ in their name is aristocratic) is a food stylist and cookery book author. We don’t associate French food with healthiness, rather heavy cream sauces and plenty of butter (which is not unhealthy in moderation, hence the French paradox), but this book gathers recipes from both De Montalier and a “new generation” of French chefs who are less classic, more international and open-minded towards a modern approach to food. 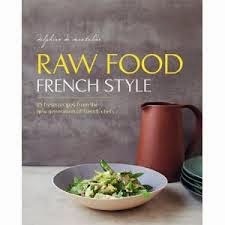 Raw food sounds a bit grim, but naturellement the French can ace this subject with customary panache. 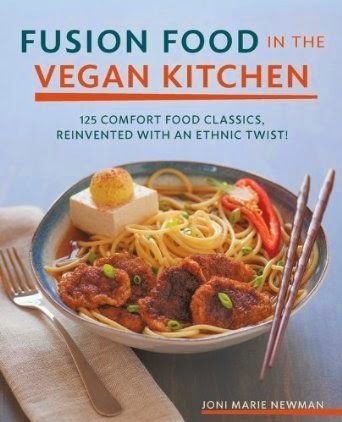 This is not a vegan book, although there are plenty of plant-food recipes, it includes meat, fish and dairy, but obviously all raw. There is the ‘barely cooked’ chapter, but the raw food diet permits anything that has not been heated above 48 ºc. This book is also useful for paleo diet enthusiasts, who imagine they are eating in the style of hunter gatherers. I agree with Michael Pollan, who says that rawfoodists (and paleos) are ignoring the health benefits of cooking, which allows more access to the nutrients in food, and indulging in a fantasy idea of what cavemen ate. Design and photography: a thick expensive looking hardback, smart design, nice food styling by Delphine and photographs of every recipe by David Japhy. (I do like a photo of each recipe. I know in the old days people made do with engravings or, god forbid, just a written description of each recipe but I like to know what the dish should look like). This is great value for money, a coffee table book for a bargain price when compared to the other books (but short runs of specialist books do cost more). I’d like to try: Page 238: Lemon Tart, completely raw, using nuts, dates, vanilla powder and lemon zest. Content: European cuisine is particularly dependent upon and centred around meat, fish and animal protein. European chefs hardly know how to cook without the easy umami boost of charred flesh. While ‘fusion’ food may have fallen out of favour, the plant-based food lover neccessarily looks to other cultures, Indian and Asian in particular, for tasty food. Joni Marie Newman delivers: ideas are culled from El Salvadorean, Korean, Japanese, Californian, Peruvian, Italian, Greek and Filippino cuisine. Design and photography: a bit cheap looking. Softback. Ok photography and styling. Recipes: some creative fusion recipes here. Hot, Sweet and Sour Seitan Ribs with Lemongrass ‘Bones’ sounds imaginative, the picture really does look like ribs. But I’ve tried seitan a few times now and can’t make myself like it. I’d like to try: Churros with sweet coconut cream filling. Faux Pho broth. Content: I’m now ordering kilo tubs of coconut oil in bulk. This is the saturated fat that is ok to eat, in fact Lauric acid from this ‘monkey face’ nut is very good for you, treating Alzheimers (now known as Diabetes III) for instance. Every part of the coconut tree can be utilised, and it can be turned into coconut sugar, flour, butter, milk or oil while coconut water can even replace an IV drip. This book contains good advice on fats (fat doesn’t make you fat you know) and cholesterol. Design and photography: Softback. Good functional design and photos but a handy small reference book rather than a coffee table jobbie. Recipes I’d like to try: basic recipes for home-made coconut milk and cream. It worries me that many of these books contain information that has no real scientific/evidence based medical research to prove that the new and trendy substitutes are better for health – and coconut oil falls in to that bracket. Coconut oil is being hailed as a food supplement and that will no doubt have people thinking that they can consume it in quantity without consequence. I myself was fooled by this when the hype started some years ago, but I have yet to find any medical/scientific research-proven data to prove that it does everything it is hyped up to do. It's the same with the trend for replacing sugar with various so called 'natural syrups'. Take agave as an example, which actually produces fructose in the liver and goes on to do just as much damage as sugar. People still seem unaware that fructose is responsible for heart disease and diabetes and all these young, skinny, 'clean cake' and 'clean eating' advocates who have no nutritional qualifications and are simply leading the public into believing they can eat these things and still be 'healthy'.